WIN tickets to The Tea Party! Epic GoPro footage captures the vibe of Rocking the Daisies 2014! Cape Town – One super duper lucky Channel24 reader stands the chance of winning 2 weekend tickets to The Tea Party. One price covers arrival on Friday or Saturday, so try get there early for extra Jangling the whole weekend long. 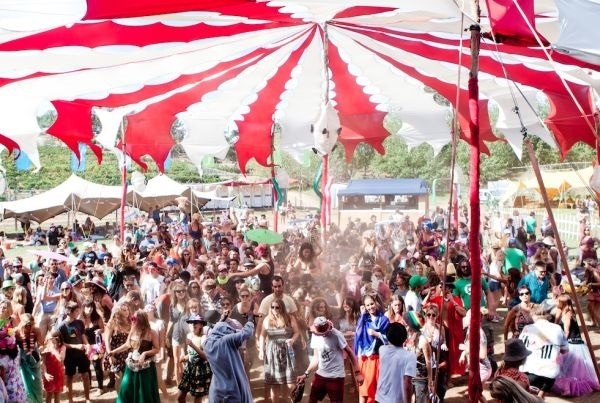 The Tea Party is a Boutique Festival that needs full commitment as best possible. We strongly encourage everyone to make the effort to be part of the whole weekend, or at least arrive Saturday. Closer to the event date, if we have not reached our limit, we will make available some Sunday tickets. This is NOT a 'Kids' festival, but we are family friendly. 12 and under get in for Free. 13 to 17: R200 at the Gate only. All Minors are to be accompanied by their legal guardians at all times. Some areas of the event are Over 18 only, and strictly controlled. Entries close Thursday, 19 March at 13:00.